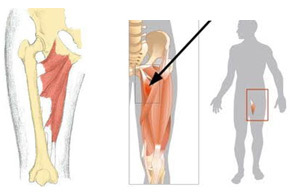 Groin pain can present acute and chronic state. An acute groin injury occurs during an activity such as sport or exercise. Groin pain can also have a more gradual insidious onset. Chronic groin pain is typically seen in sports with repetitive, high load sports (such as triathlons or marathons) or is as a symptom of a biomechanical dysfunction. Common causes of chronic groin pain are Osteitis Pubis (inflammation in the pelvis), or Osteoarthritis of the hip. Typical symptoms of a gradual groin injury may include. R.I.C.E (Rest, Ice, Compress, Elevate) is the standard treatment protocol for acute injuries. If an injury is severe, call an ambulance or go to hospital where possible. Develop a rehabilitation plan to get you back to your sport and out of pain as soon as possible. How can I prevent a groin injury? BOOK ONLINE TODAY to get back to your sport pain free!